Home #CUTE Mr. Catt “Update” – A great game just got even better! Mr. Catt “Update” – A great game just got even better! Do you love playing puzzle games? If so, you’ve probably already heard us talking about a game called Mr. Catt by ZPLAY, which was – and still is – a very cool little puzzle game to have. But on the 8th of December things are going to get a whole lot cooler! Starting off with the tutorial, players thinking about giving this game a try are in luck. With a much better tutorial design featuring More Moves, a Wider Chessboard, and double the previous Hearts Reward, new players will learn how the game works much more effectively and quicker than in previous versions of Mr. Catt. If you never quite figured out how to play the game, now may be the time to give it another try? To fit with the new and improved tutorial, all the levels from 1 to 150 have been given a complete overhaul. Adding in new game elements chapter by chapter to help players better acquire the skills needed to take on each challenge and a much anticipated “libra” system. The blocks you receive in this game are no longer fully-randomized! According to player comments, the most confusing aspect of Mr. Catt was that there was a certain way to solve each puzzle, while the blocks you were given to solve each puzzle appeared randomly. 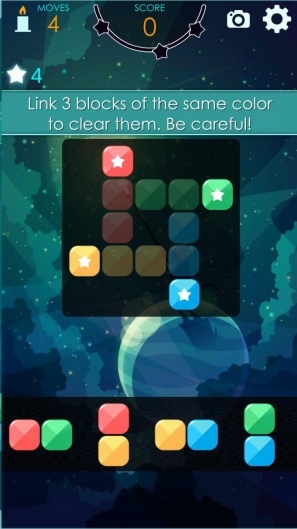 Now when the stars of one color have been completely eliminated, the chances of you receiving a block of that color have been greatly reduced. In addition to the re-designed levels and “libra” system, this new update also adds a new “Target Reminder” feature which is perfect for those moments when you can’t quite remember what you were supposed to be doing. For a puzzle game like Mr. Catt which can be played on and off in your free time, this may actually be the most useful feature in the entire update! 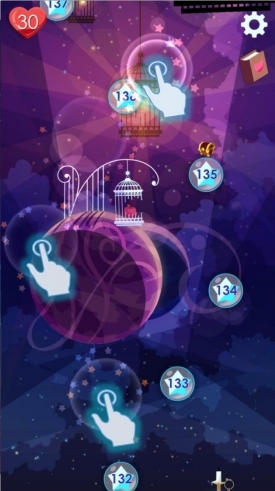 Graphics wise, Mr. Catt is given two slightly less noticeable updates, such as a new “Dreamy Tap Effect” which is shown when you tap anywhere on the home screen, and some new and very nice looking power up icons. Last but not least, so that you can look back on your progress Mr. Catt is given a new “Dream Gallery” where you can look back on the animations for each chapter, and a “Title Fast Forward” option, where you can fast forward straight into the game by tapping anywhere on the Title Screen. If you haven’t already, please don’t forget to check out our original review of Mr. Catt here. Want to give Mr. Catt a try? Also, if you’d like to follow the ZPLAY team on facebook, click here!